Michael Urie was born today, August 8, in 1980. He is an American actor, presenter, director, and producer. He is widely known for his portrayal of Marc St. James on the ABC dramedy television series Ugly Betty. 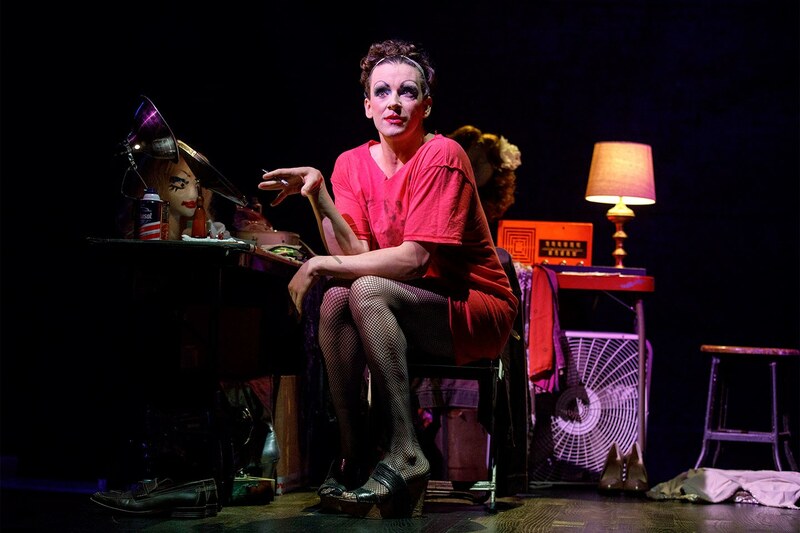 In November 2018, Urie will be starring as Arnold Beckoff in Harvey Fierstein's Torch Song revival on Broadway (right). Urie was born in Houston, Texas, and raised in Plano. He studied at Collin County Community College before being accepted at the Juilliard School in New York City. There he was a member of the Drama Division's Group 32 (1999–2003), which also included Jessica Chastain. Urie graduated from Juilliard in 2003. Urie, while still a student at Juilliard, performed in the world premiere of Love and Happiness (2001) at the Consolati Performing Arts Center, starring as a 16-year-old trying to get rid of his mother's boyfriend. He received the 2002 John Houseman Prize for Excellence in Classical Theatre from the Juilliard School. His classical credits include Shakespeare, Jacobean drama, and commedia dell'arte. 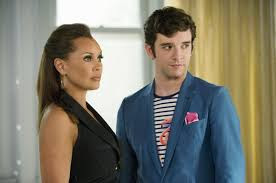 Starting in 2006, Urie began appearing in ABC "dramedy" Ugly Betty, appearing as Marc St. James, the assistant of Wilhelmina Slater (Vanessa L. Williams). The show began with the concept that Wilhelmina would have a different assistant in each episode, thus Urie was originally billed as a guest star in the credits, However, Williams loved their chemistry, and Urie was signed on as a full-time regular midway through the first season. He and the cast were nominated for Screen Actors Guild awards for Outstanding Performance by an Ensemble in a Comedy Series in 2007 and 2008. Urie originated the role of Rudi Gernreich in the 2009 off-Broadway play The Temperamentals, about the foundation of the early LGBT rights organization the Mattachine Society. Urie received a Lucille Lortel Award for Outstanding Lead Actor. In 2010, he starred in the Signature Theater revival of Angels In America as Prior Walter. In January 2012, Urie made his Broadway debut, joining the cast of How to Succeed in Business Without Really Trying's second revival in the role of Bud Frump. Urie has also started his own website for videoblogging and live chats. In 2012, Urie also starred as the mysterious limo driver James in the film adaptation of Wendy Mass's children's book Jeremy Fink and the Meaning of Life, written and directed by Tamar Halpern. Urie was one of the leads in CBS's short-lived series Partners. The multi-camera comedy, from Will & Grace creators Max Mutchnick and David Kohan, centered on lifelong friends and business partners – one straight and one gay. The series also featured Sophia Bush as another lead. The series premiered on September 24, 2012, but was cancelled after only six episodes had aired. 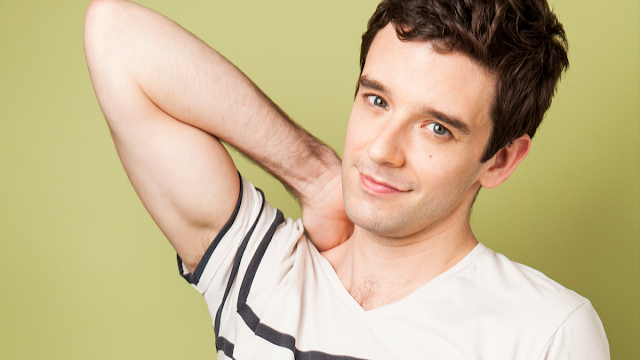 His performance in 2013's one-man show Buyer & Cellar won him a Clarence Derwent Award. In April 2015, Urie became the host of Cocktails & Classics on Logo TV, in which he and panels of celebrity friends watch and comment on classic movies while imbibing cocktails named or made for the films. Films profiled on the series have included All About Eve, Steel Magnolias, Valley of the Dolls, Breakfast at Tiffany's, and Mommie Dearest. In 2009, Urie referred to himself as "a member of the LGBT community" on his website. In a 2010 interview with The Advocate, he said that he was in a relationship with a man and identifies as "queer." He is currently in a relationship with actor Ryan Spahn (above). I saw "Torch Song" Off-B'way with Urie last year and was blown away by his performance. I always thought that the role of Arnold belonged only to Harvey F. So glad that this is now coming to Broadway.